Art. S68924k gold plated cruet set Glass cruets mod. "Parma" ml. 75The gilt is guaranteed ..
Art. S689NSilvertone cruet set Glass cruets mod. "Parma" ml. 75..
Art. 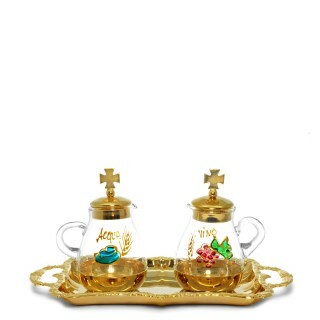 S69024k gold plated and Hand-painted cruet set Glass cruets mod. "Parma" ml. 75The gi..
Art. S690NSilvertone and Hand-painted cruet set Glass cruets mod. "Parma" ml. 75 ..
Art. 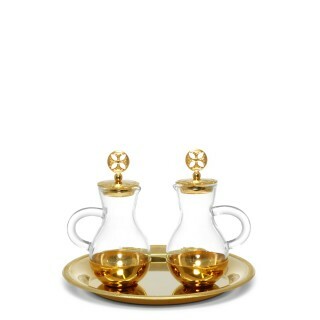 S94624k gold plated cruet set Glass cruets mod. "Parma" ml. 75The gilt is guaranteed ..
Art. 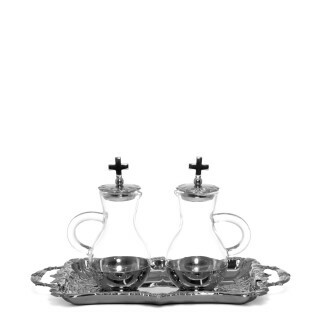 S946NSilvertone cruet set Glass cruets mod. "Parma" ml. 75 ..
Art. 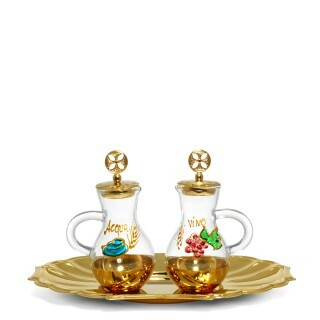 S94724k gold plated and Hand-painted cruet set Glass cruets mod. "Parma" ml. 75The gi..
Art. S947NSilvertone and Hand-painted cruet set Glass cruets mod. "Parma" ml. 75..
Art. 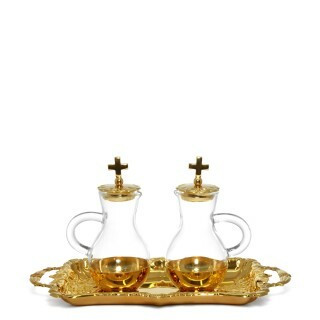 S85624k gold plated cruet set Glass cruets mod. "Bologna" ml. 110The gilt is guarante..
Art. S856NSilvertone cruet set Glass cruets mod. "Bologna" ml. 110..
Art. 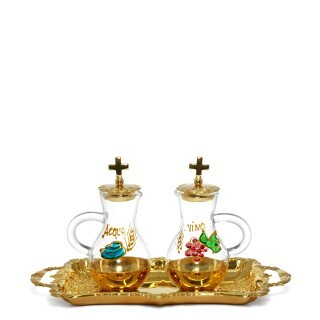 S85724k gold plated and Hand-painted cruet set Glass cruets mod. "Bologna" ml. 110The..
Art. S857NSilvertone and Hand-painted cruet set Glass cruets mod. "Bologna" ml. 110..
Art. 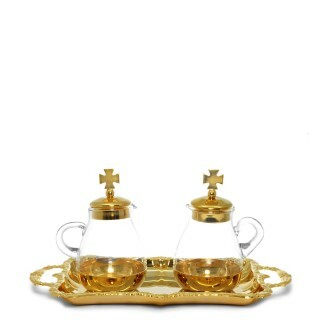 S95324k gold plated cruet set Glass cruets mod. "Parma" ml. 75The gilt is guaranteed ..
Art. 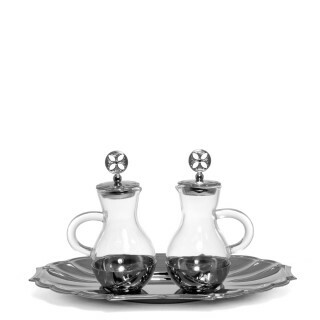 S953NSilvertone cruet set Glass cruets mod. "Parma" ml. 75 ..
Art. 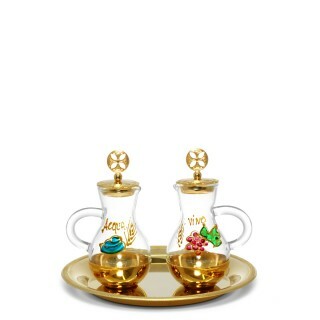 S95424k gold plated and Hand-painted cruet set Glass cruets mod. "Parma" ml. 75The gi..